"Custom beach architecture for a modern lifestyle, in the heart of Venice! Completed in 2019. Almost 4500sf of designer done interior w/grand open entertaining spaces, stunning wood clad volume ceilings, a spacious cooks kitchen w/Miele appliances, island w/seating & separate pantry. Also on the 1st floor you have a guest suite w/separate entrance. On the 2nd floor, there's 2 bedroom suites and an exquisite master retreat including a spa-like bath, private balcony & large closet. Level 3 is the level that exceeds all expectations w/nearly 1000sf of roof-top viewing deck, a built in BBQ, amazing 360 degree views, ocean breezes & breathtaking sunsets! Attached two car garage and a fenced, gated, hedged, private yard. West of Lincoln and close to Rose Ave, Abbott Kinney, the famous boardwalk and the beach! This is the WOW house, you've been waiting for!" "Island location on the Venice Canals. Truly a once-in-a-generation property, this elegant 3-story Tuscan-style home is among the largest & most coveted homes in the Venice Canals enclave. Built & maintained with attention to detail, this home, designed by architect Louis Tomaro, features spacious rooms, balconies, high ceilings & designer touches throughout. Gourmet eat-in kitchen w/butler's pantry and Viking & Sub-Zero professional appliances. Oversized living room with 12-foot ceilings opening to large, waterfront yard w/mature olive & cypress trees. Spacious master bedroom suite w/sitting area, private balcony overlooking Howland canal, lavish bath with jetted spa tub & shower. Dramatic entry rotunda with flowing stairway & skylights; 3 large bedrooms (2nd bedroom is extra large, can be split to make a 4th bedroom), 3.5 baths. This timeless architectural masterpiece will bring your heart to the European countryside. Close to beach, Abbot Kinney and marina." "Stunning 2019 new construction in the heart of Venice, designed and built by Arzuman Brothers. 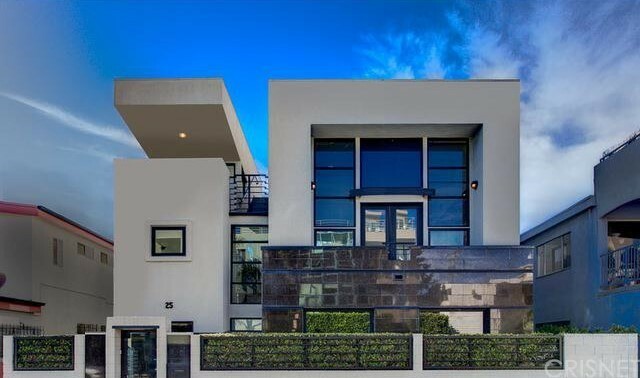 This approximately 3,500 sqft house + 900 sqft rooftop deck is a uniquely designed California contemporary home that features the perfect blend of inside/outside flow and open space design. As you walk through you are greeted by towering windows throughout the home that provide excellent natural light. The gourmet kitchen includes a spacious large island, custom made cabinetry, Miele and Thermador appliances, and an attached breakfast table. The backyard features a zero edge pool, waterfall, ceramic tiles, and a detached structure that can be used as a pool cabana. Whether it's the backyard, multiple sitting areas inside, or the rooftop deck, this home is the perfect place to entertain. Once you retreat to the master suite, you are invited once again with open space and a perfect harmony of bedroom, bathroom, and walk-in closet. There you will see a see-through fireplace connecting the bed and bath along with a full walk out balcony overlooking the backyard. Full smart home that controls music, lights, air conditioning, cameras, security system, and much more. 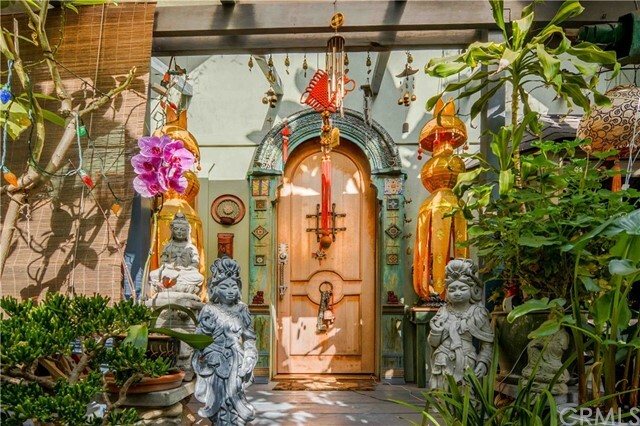 Close proximity to the beach and all the shops and restaurants on Abbot Kinney Blvd."